There is a misunderstanding regarding the correct use of the American Heritage Dictionary with respect to the UIL Spelling and Vocabulary Contest. For more, click here. Reminder: Essay Contests Deadline is February 22. Submit your essay online today! 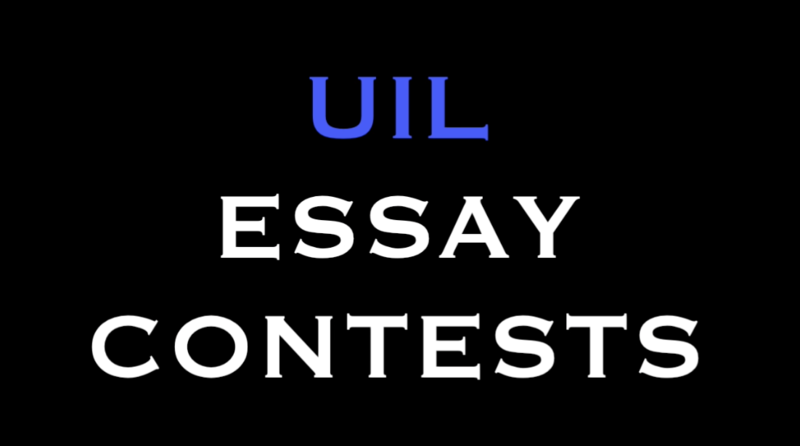 The deadline for the essay contest is February 22. Submit your essay here. Effective for the 2016-2017 school year for the high school Science contest. The first-ever UIL Robotics State Championship event will take place July 28-30, 2016 at the Austin Convention Center. For more information about the championship event, click here. For more information about the UIL Robotics pilot program, click here. This list will be official following a 24 hour verification period- all wild card teams advance as state qualifiers. This list will be official at 11 a.m. Wednesday, following a 24 hour verification period- all wild card teams advance as state qualifiers. Conference 6A wild card results will be posted Monday, May 2, 2016.